Federal Members of Parliament belonging to all three major political parties say they’re open to meeting with Huawei’s newly registered lobbyist, but question whether the process will add anything to the government’s ongoing review of the company. 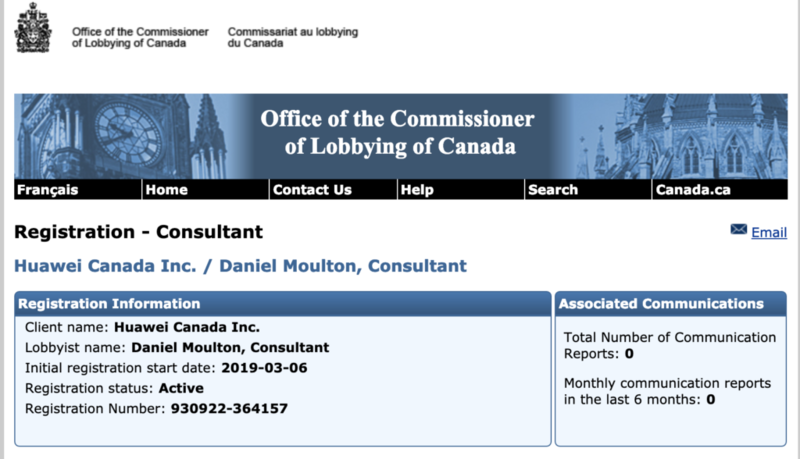 Huawei hired Daniel Moulton, a consultant with Crestview Strategies, who registered himself to lobby the federal government on Huawei’s behalf on March 6th, 2019. 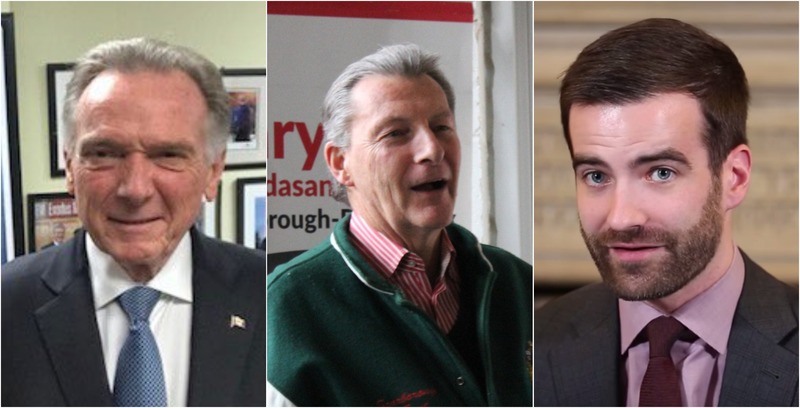 Liberal Member of Parliament (MP) John McKay, NDP MP Matthew Dubé and Conservative MP Peter Kent, all said in phone interviews they were open to taking part in meetings with Huawei Canada again, adding that it is their job to have open discussions with stakeholders. The three MPs were part of a heavy lobbying effort Huawei Canada made in October 2018. Shortly after, Huawei’s global CFO Meng Wanzhou was arrested in December. Since then, Meng, Huawei and its subsidiary Skycom have been charged with 13 counts of bank and wire fraud. Canada has proceeded with the extradition case of Meng. Meng has sued Canada’s RCMP and the CBSA. Huawei has sued the U.S. and pleaded not guilty to charges. China detained two Canadians as retaliation for arresting Meng and have alleged they were part of a national security threat, and Canada has suffered a frosty relationship with China. McKay, Dubé and Kent said they were not asked for any meetings yet. McKay, the chair of the House of Commons Standing Committee on Public Safety and National Security (SECU), said he would accept a meeting. He said the government has not indicated whether it it plans to ban the company from providing 5G telecommunications equipment. McKay suggested that it might be time to call Huawei executives to SECU to be questioned and get more clarity on the company. Dubé, who is also the vice-chair of the SECU committee, reiterated what he’s said in the past, which is the review was incredibly important to determine whether or not to ban Huawei. “But put it this way, the onus remains on the government. If we aren’t going to ban Huawei, then the government has the responsibility to tell us why,” he said, adding that he wasn’t sure what more can change by them lobbying. McKay gave no indication as to when a report would be released. Kent didn’t think there was any new information that could change his position. “I think the arguments still remain that the government is procrastinating because of what they have been told by Telus and by Bell regarding the amount of money they would expect from the government if they had to separate themselves from or get rid of the Huawei equipment they’ve purchased and replace it with technology from a more acceptable provider,” he said. Bell said that whether or not Huawei was banned from providing 5G equipment by the government, it would be ready to deploy the technology. Telus, on the other hand, warned that banning Huawei would cost a lot of investor dollars even if it would be ready to deploy the equipment in time. Reports have suggested that the industry could lose as much as $1 billion if Huawei were to be banned. While the spotlight has been shifted onto the way Prime Minister Justin Trudeau has handled the SNC-Lavalin case, MPs are concerned that he could respond to Huawei in a similar fashion. “I’m just reflecting on the Prime Minister’s argument about the importance of the rule of law in Canada when dealing with Huawei, and the argument consistently made by the Prime Minister was he had no choice because he so believed in the rule of law at the very same time he and his staff, his key advisor, and the Clerk of the Privy Council, and others on his staff from the finance minister on down are not respecting the rule of law and your independence as the Attorney General of Canada,” NDP MP Nathan Cullen said during the testimony of former attorney general Jody Wilson-Raybould. “I find the contradiction and the hypocrisy of this situation breathtaking,” he said. China’s Foreign Ministry spokesman Lu Kang also questioned the state of judicial independence in Canada. McKay did not agree with Cullen’s statement and said that the Prime Minister and Canada has always been a rule of law country. But Kent said the government needs to be more consistent. Trudeau argued that if SNC-Lavalin was not protected then thousands of jobs would be at stake. “I have not seen the jobs justification used as an excuse for procrastination [of releasing the review’s report] on Huawei but I think for Canada’s international reputation, for Canada’s domestic interprovincial reputation, I think there does need to be consistent on all levels,” Kent said. Dubé didn’t want to speak for Cullen but said the perception from our allies could be changing. “When we take this world stage and talk about how we respect the rule of law, the perceptions of that can be severely hampered by the behaviour that we’ve heard from the Prime Minister’s office in the SNC-Lavalin case,” he said.